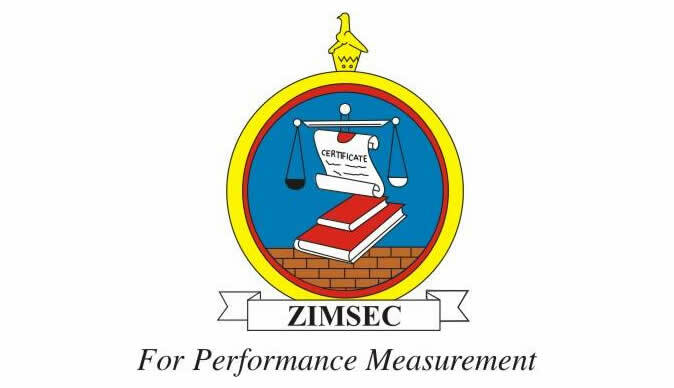 The Zimbabwe School Examinations Council (Zimsec) has acquired its own printing machine and will no longer be contracting other organisations, a move acting director Dr Lazarus Nembaware says will help combat examination paper leakages. He revealed the development on Tuesday while presenting the ministry's budget expectations for next year to the Parliamentary Portfolio Committee on Primary and Secondary Education. "With the help of the ministry, we have acquired a robust printer and Zimsec is now going to be able to print the question papers itself. "We had been contracting other organisations to do that and it became a point of leakage. So this time we have more control when this printer is in use and we are hoping that in June 2019, we will be printing all our question papers ourselves," he said. Dr Nembaware said to avert examinations leakages the examination board had come up with the concept of having item writers who would develop items meant for the examinations. "Item writers coming from different institutions are now developing items, not question papers at a venue which we will go where they will identify those items and we bank them as items," he said. "We are using a software called grade maker and this software will then allow a subject manager to identify the different skills which are needed in a particular question paper and a question paper is then developed - that is the method we are using at setting." This stage is then followed by the printing. On the distribution stage Dr Nembaware said: "Again we intervened to ensure that the question papers are secure. We are using a cluster-centre approach to distributing the question papers. "What we are doing is that we take our question papers to three types of cluster centres. Where the schools are nucleated, it is much easier to use one cluster centre where a number of schools — at least six to 10 — will use the cluster centre to collect the examination papers in the morning of the exam. Where it is not possible, we give a school the status of keeping its own question papers." He said the morning examinations timetable had been changed from 8am to 9am to give enough time for logistical processes to take place. The afternoon time table remained unchanged (2pm). Dr Nembaware said cluster centres were manned by four people — a police detail, a cluster centre manager, a Zimsec official and a deputy to the cluster centre manager. "There are three different keys which allow access to a question paper where the question papers are being kept," he added. "No individual can access the storeroom as it will be manned by three people who have to go there together with a police detail." Dr Nembaware said he was happy the fuel shortages had not affected the sitting of examinations as prior arrangements to have fuel reserves had been made. "We have also gone round to monitor the situation, no question paper has not been written because of the fuel crisis. "Yes, there are challenges, but the challenges are being sorted out," he said. "The scripts which candidates are writing are also returned on a daily basis to our centres because we had experienced a challenge in that particular area." Dr Nembaware said there was need to re-look at the ZIMCHE Act which was a bit lenient to people who are flouting the regulations. "We are hoping that it will come to Parliament as quickly as possible with the amendments which we are suggesting. We are finishing the last level of consultation and we are going to send it to the ministry after this," he said.